When it comes to great pre-event promotions, no need to hold your breath! Let advertising come naturally like a fish in water with awesome Swimming Flyers. 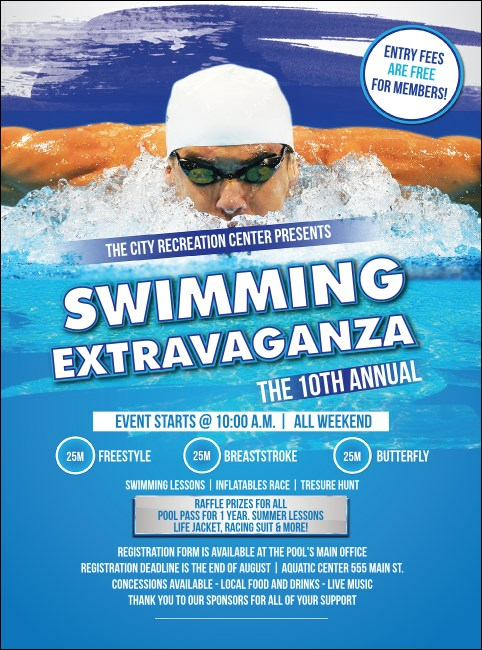 Each exciting Flyer features a photorealistic picture of a swimmer competing for the win by propelling through a clear blue pool of water. TicketPrinting.com helps you develop your advertising stroke.